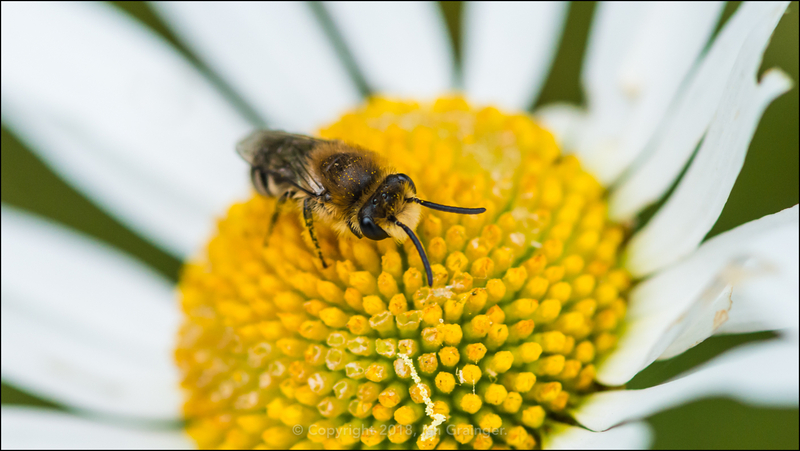 It was a warm but dull Sunday morning for my photo shoot in dad's garden this weekend, but as it turned out, perfect conditions to go hunting for creepy crawlies. I was incredibly pleased to find this rather handsome Beetle, chomping away on a Climbing Wild Rose. He's a Rose Chafer Beetle (Cetonia aurata) and seemed to be loving the abundance of flowers that were appearing. 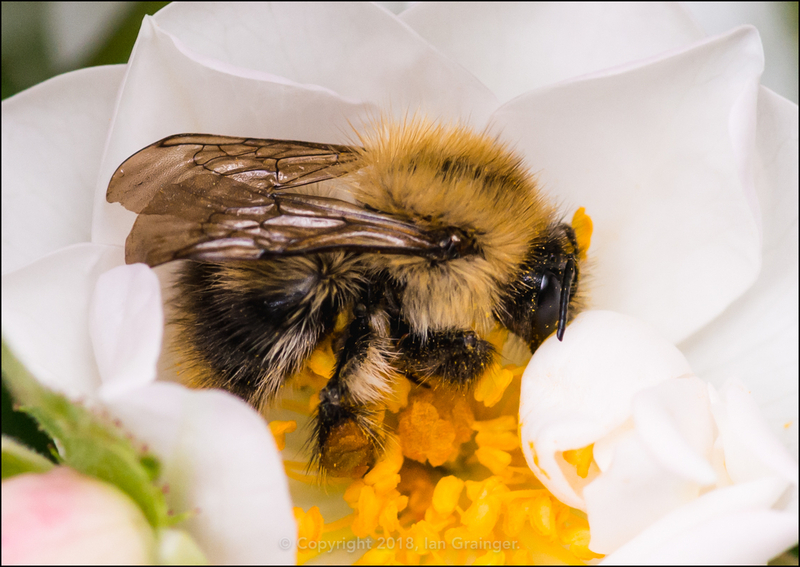 He certainly wasn't the only visitor to the Roses, with this Common Carder Bee (Bombus pascuorum) being one of many Bumblebees stopping by to gorge themselves on the pollen. 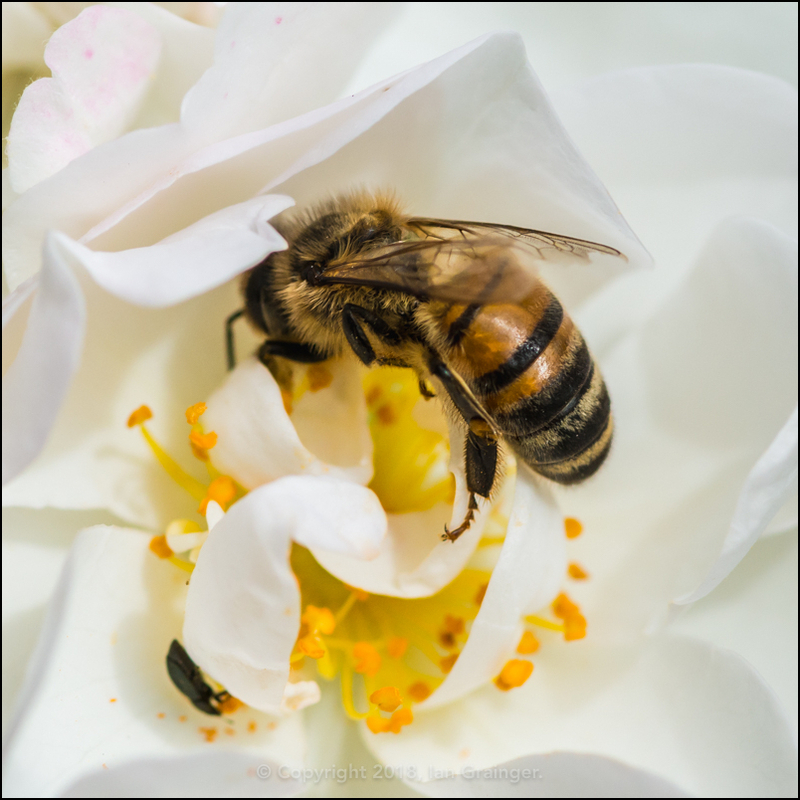 There were also plenty of Honey Bees (Apis mellifera) visiting the same spot, losing themselves in the centre of the rose petals. ...while this Buff-tailed Bumblebee (Bombus terrestris) preferred to do its collecting from some newly opened Honeysuckle (Lonicera) blooms. Despite there being lots of Bee and Bumblebee activity, there weren't many Butterflies flitting about the place. 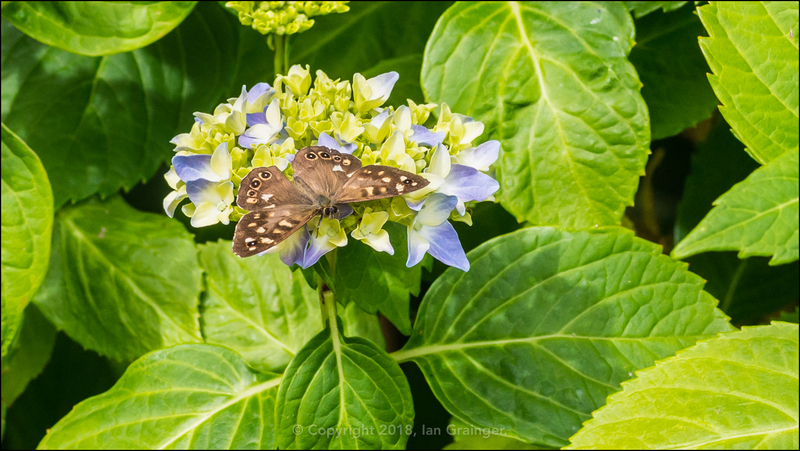 This Speckled Wood (Pararge aegeria) was the only one I managed to grab a shot of, and it flew away as soon as I got to within a couple of feet of it. 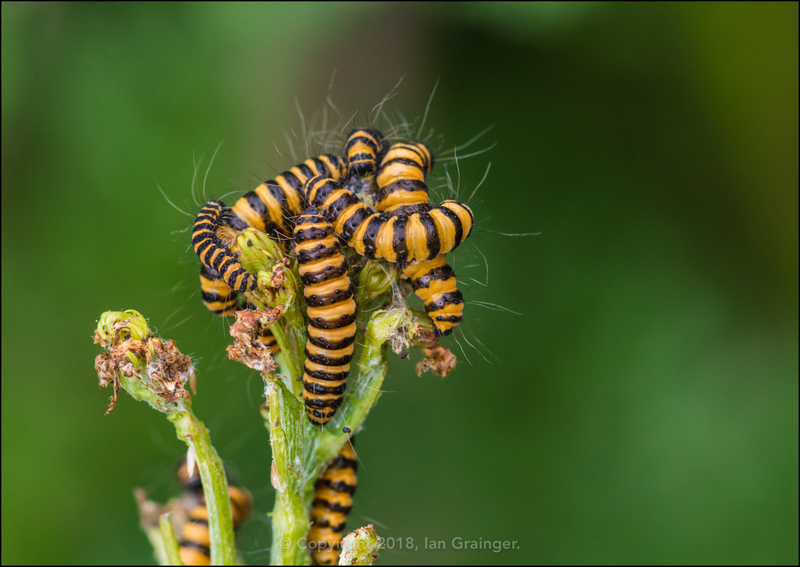 I had better luck with some Caterpillars though, and was thrilled to find this pile of Cinnabar Moth (Tyria jacobaeae) larvae enjoying the delights of some Ragwort (Senecio) flower buds. I've got my fingers crossed that I'll get a shot of the actual Moth when it emerges, as it's a bit of a stunner! 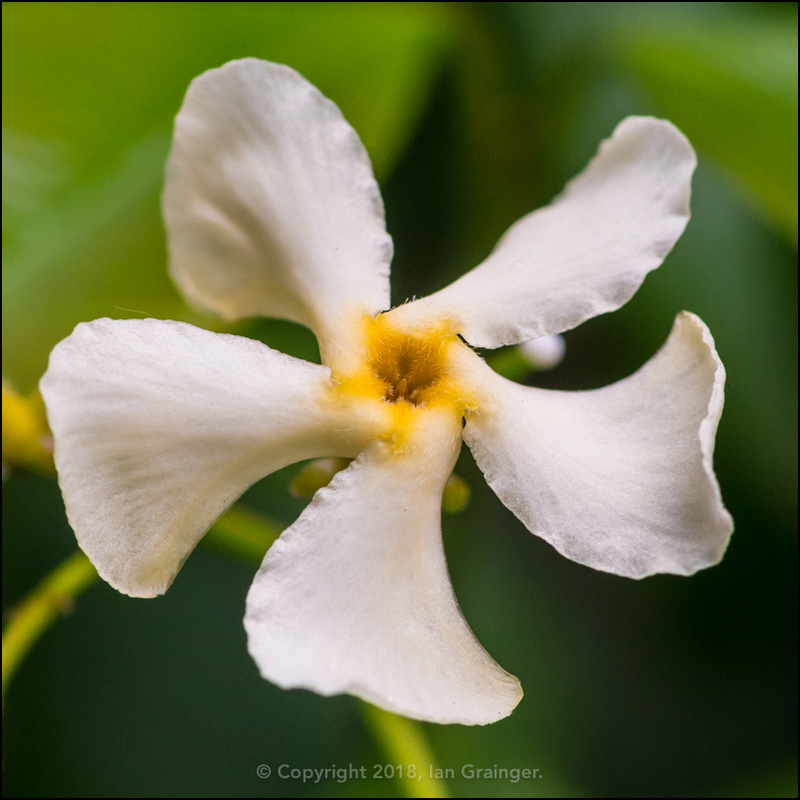 New flowers to dad's garden this week included these Star Jasmine (Trachelospermum jasminoides) blooms, which I always think are very interesting in shape and structure. 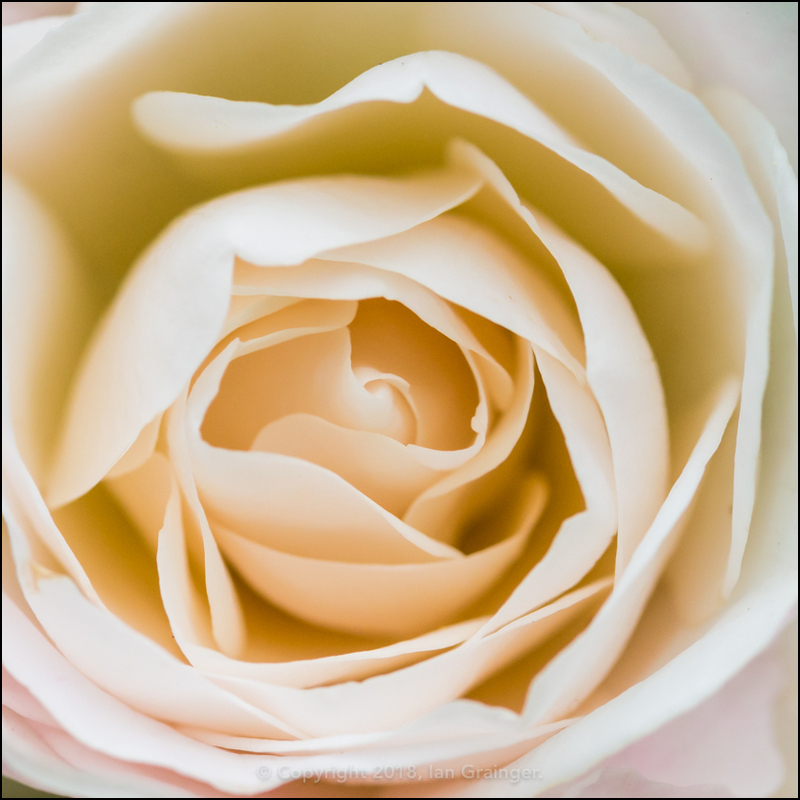 I was very surprised to find this beautiful white Rose (Rosa) growing up through the middle of a hedge. It looks cultivated rather than wild, but neither dad or myself can recall it ever being planted. 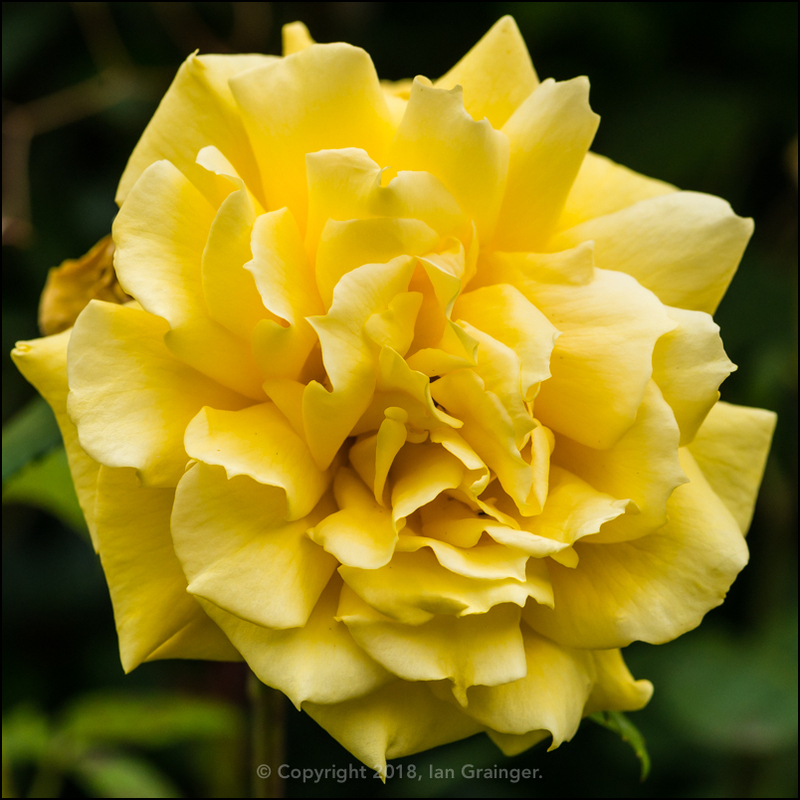 On the other hand, this beauty, Rose 'Peace', was planted in the garden the same year Mum and Dad moved into the house over twenty years ago. She's lost her pink tinges over the last decade, but is still rather beautiful I think. 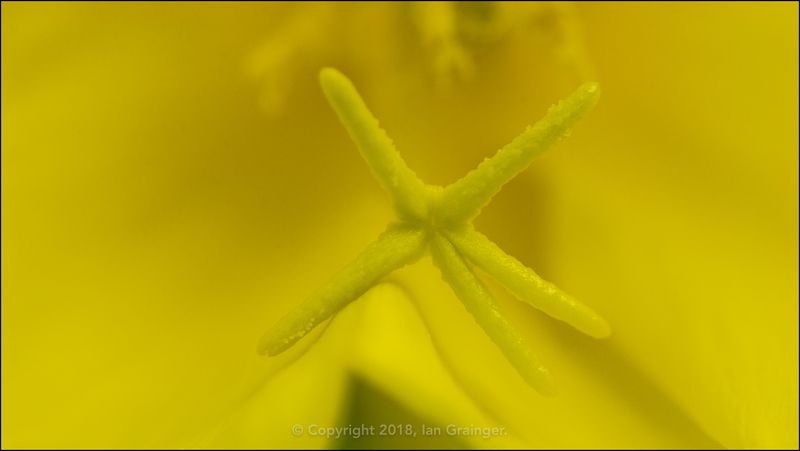 I'm always fascinated by the Evening Primrose (Oenothera biennis) blooms, and couldn't resist getting right into the centre of one, looking for the hidden treasure! 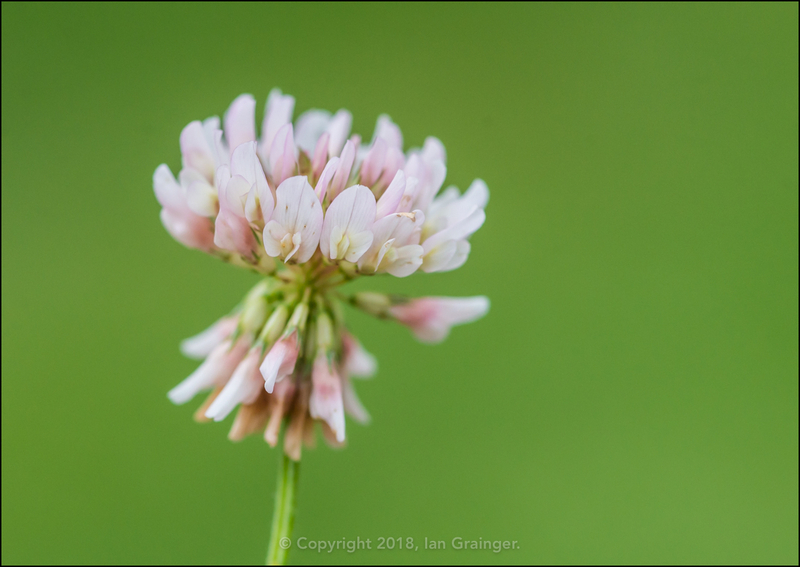 It's that time of the year again when Clover (Trifolium) starts growing in lawns. Many despise it, and remove it before it flowers, but I rather like it, as do the majority of our insects. 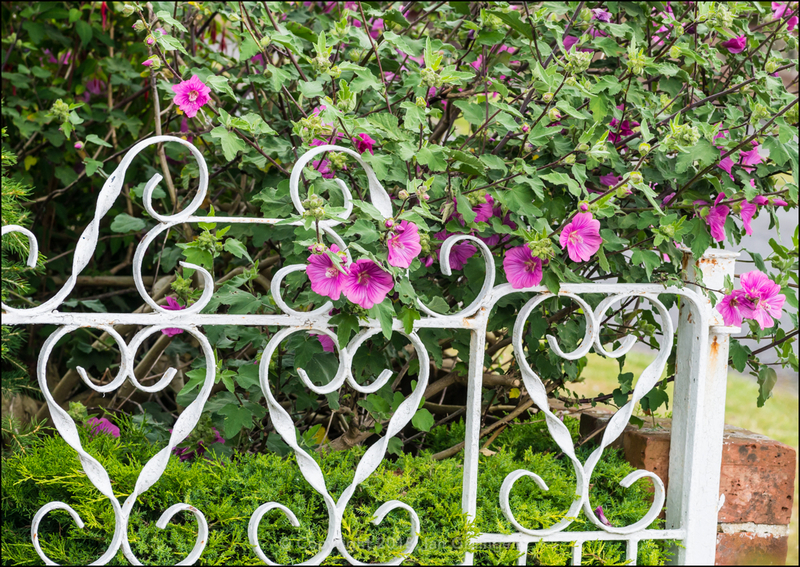 Pointing my camera over the fence towards a neighbouring garden, I quite liked how the flowers of the Lavetera were working their way through the ironwork of the garden gate. Meanwhile, back in my garden, I had a few new additions to snap. 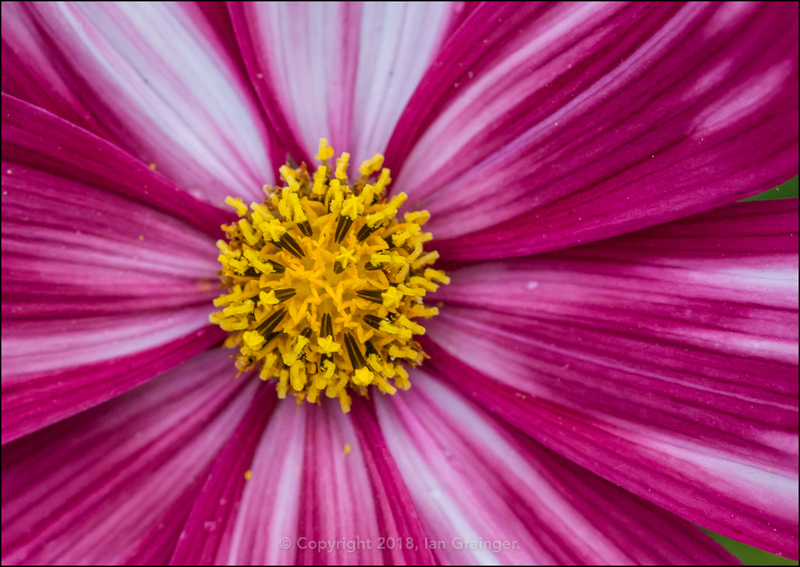 This Cosmos 'Velouette' (Cosmea) was a bit of a disappointment, as I'd been expecting a much darker, almost maroon colouring of the petals. 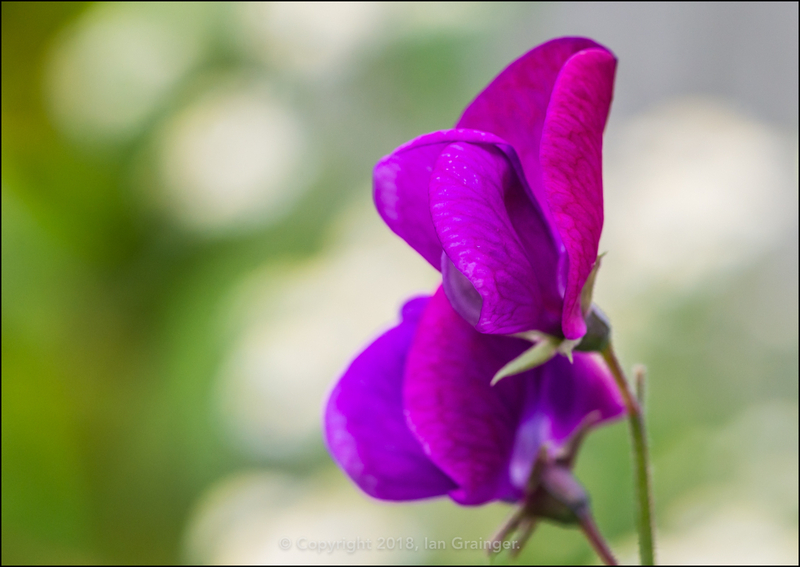 On the other hand, the Sweet Pea 'Pink Pearl' (Lathyrus latifolius) blooms were much darker than I'd anticipated, so I guess they balanced each other out. The return of my Anemone 'Wild Swan' (Anemone nemorosa) was quite a pleasing sight, as I thought I'd lost it during all of the wet weather we'd had. 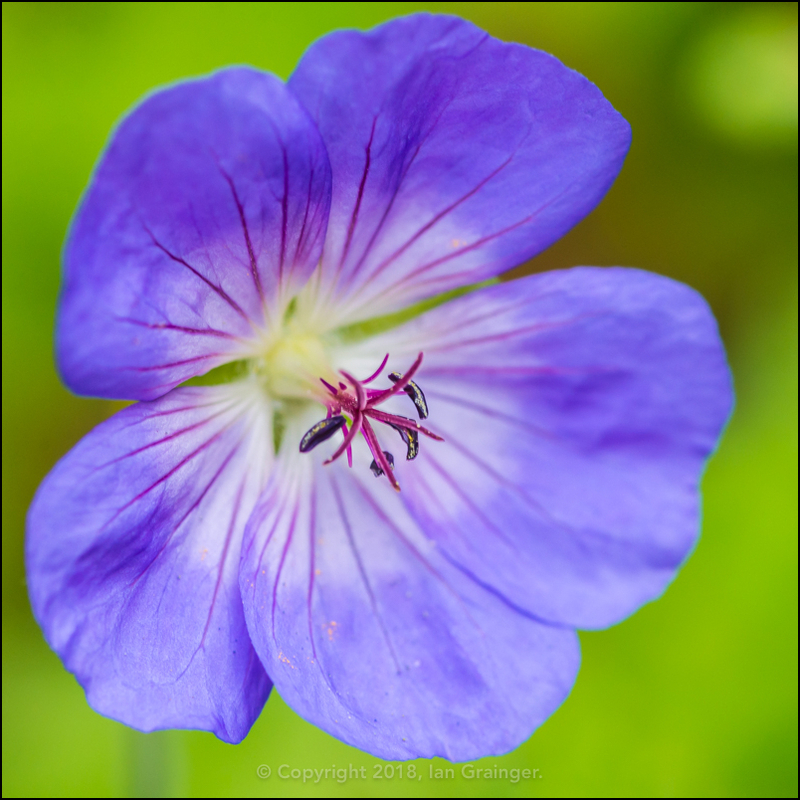 Another returning beauty was the very pretty Geranium 'Rozanne', which has done really well in a small patio pot for more years than I care to remember. 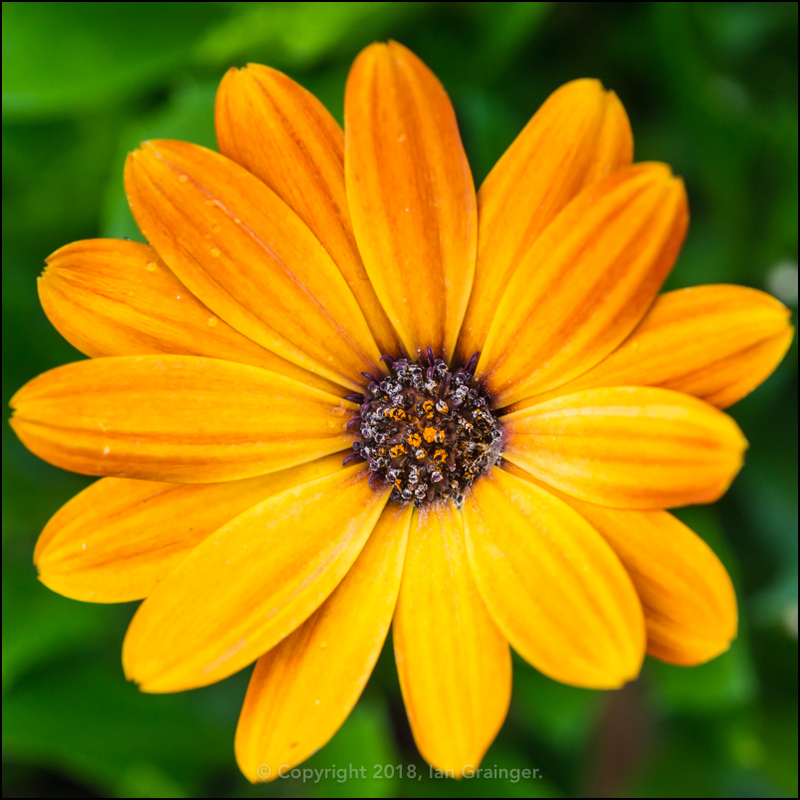 I can only hope that this African Daisy (Osteospermum), which is new to my garden, will last anywhere near as long. Finally, my wet pets. 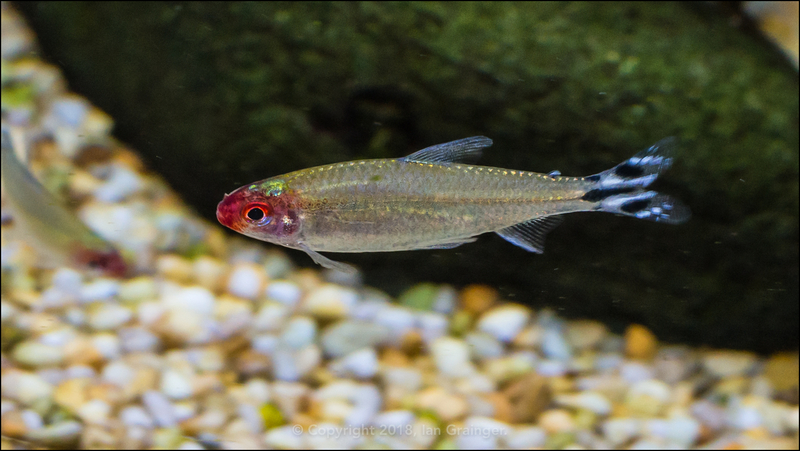 The Rummy-nose Tetra (Hemigrammus rhodostomus) is probably my favourite schooling fish. They are great when kept in groups of six or more as they school tightly and follow each other around the aquarium. My bunch even sleep together for safety, although there's nothing in the tank that will prey on them.